In 2014, big brewers continued to come under attack from the rise of craft brands, not just in the US, but throughout the world, with craft beer now growing even in emerging economies (if not beer markets), such as Brazil and China. 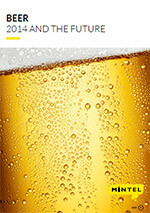 Brewers have responded by increasing their level of innovation, particularly around flavours but also around non-alcoholic beers, lower alcohol beers and beer hybrids with other alcohol categories such as spirits and wine. They have also increased their production of craft-style beers, as well as seeking acquisitions and collaborations with strong craft beer brands. The major brewers are also increasingly focusing on the growth of Asia, which according to Mintel estimates, contains the top five fastest growing beer markets between 2013 and 2014. This stands in contrast to sluggish sales in traditionally dominant Western markets such as the US and Europe, while even Latin America had a mixed 2014.